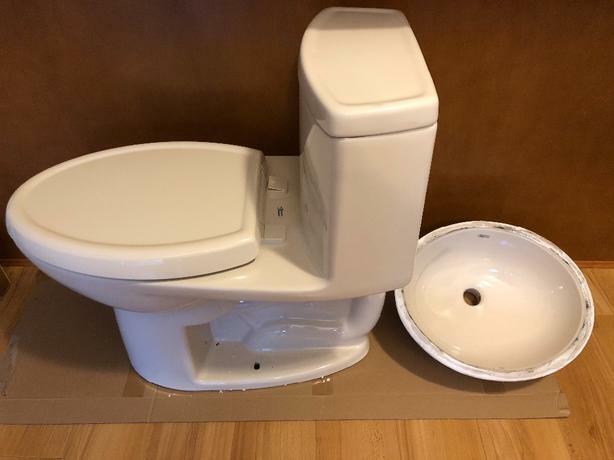 New American Standard 1-piece toilet (unused) and matching under mount sink. We purchased it for our bathroom and the color does not fit as well as we had hoped with the shower. Both sink and toilet were previously installed and removed. Toilet tank has never seen water. Toilet can be found on homedepot.ca by search for American Standard "Cadet" or Model 2403. $150 firm. Trades maybe considered.